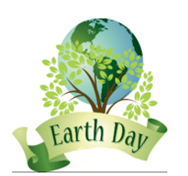 Come celebrate Earth Day with McKaig Nature Center & Wayne Woods Garden Club! There will be an array of family-friendly activities. Join us in cleaning up our historic Old Roberts Schoolhouse Memory Gardens and the entrance to the McKaig’s Nature Education Center. Plant native plants supplied by Wayne Woods Garden Club. Create a pine cone bird feeder to hang in the park during the Kid’s Craft. Participate in a mindful meditation or a yoga session in the woods. Walk the trail up to Monkey Rock and back to be reminded of the great connection between ourselves and our planet. The event is Rain or Shine! Refreshments included. 11am to 3pm Spring cleanup and native planting of the gardens Old Roberts Schoolhouse and the entrance to the McKaig’s Nature Education Center. Note: The designated times for the Kid’s Craft, Yoga & Meditation, and Trail Walk are subject to change on the day of the event.